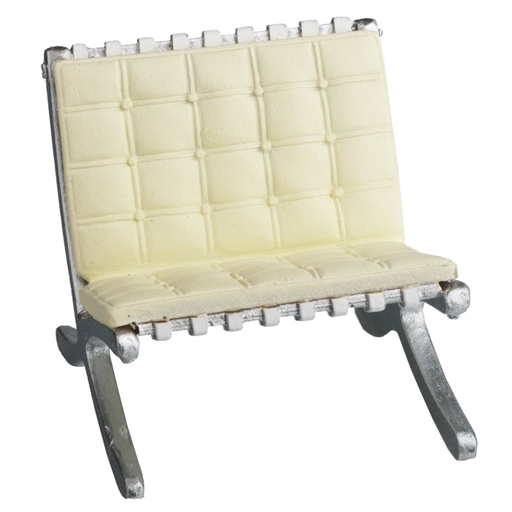 This chair is an authentic reproductions of a popular furniture design of the 20th century! It is cast in resin and hand painted to provide incredible details. 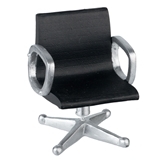 Chair includes original designer, Mies van der Roheand and debut year, 1929. I got this for my son's birthday since his furnishings are mid-century and he had a Barcelona chair...wish there was the option of black...it isn't a true white or beige or caramel color like his was. But he just loved it to sit with the mini Eames chair and ottoman I got him (just like his).